Quite right: I was,looking forward to my reward! A friend of mine is just starting a build of a #9. He doesn't post online but perhaps I'll get pics one of these days. 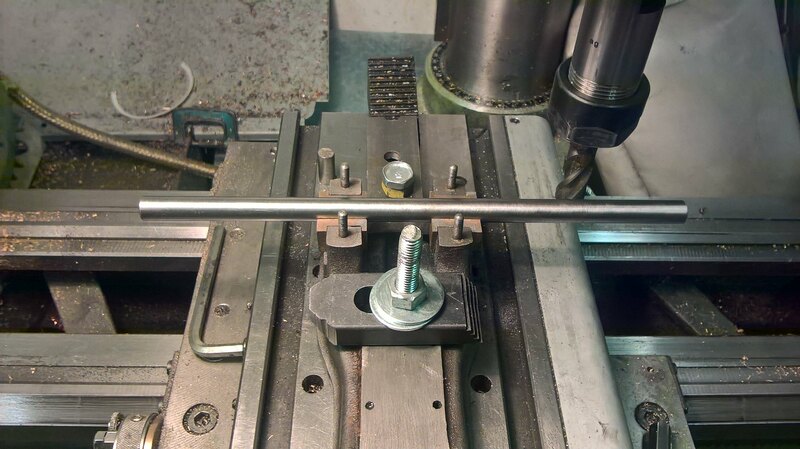 The lower halves of the crank bearings were not the same thickness, and were sitting 15 thou and 40 thou respectively proud of the chairs, which were not the same depth, so tightening up the top halves on the studs turned them into quite effective G clamps! 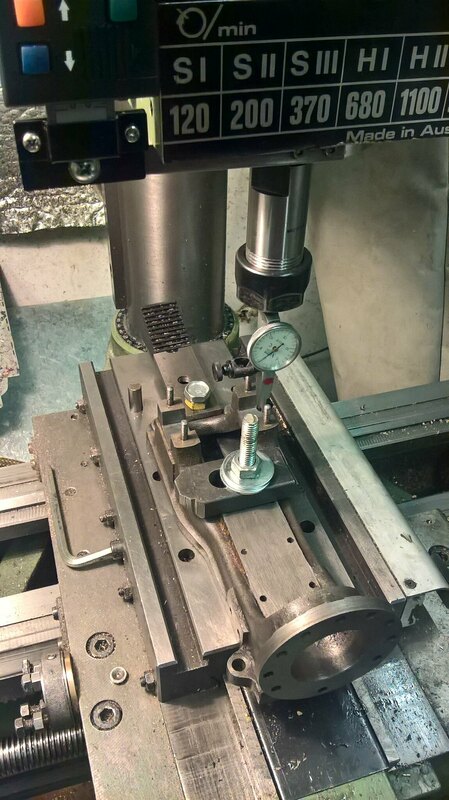 In addition, the running base for the crosshead was like a ploughed field, so that had to be sorted out. I'm going to make a new crosshead from bronze, so I can compensate for the 15 thou drop in height. The chairs are now the same depth and perpendicular. The bearings are about two thou proud which is probably about right. A nice flat base for the cross head. 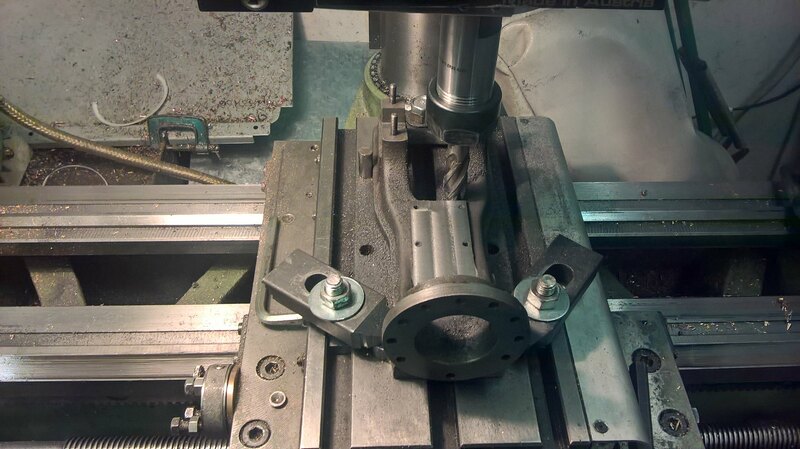 Mine was built without the benefit of a milling machine, so the bearing housings were filed out, and the lower bearings filed to fit. Closely supervised by my teacher I may say, so they were a pretty close fit in the end. The inlet ports were cast in, but the exhaust port wasn't, so I had to chop it out with a weeny cold chisel---. It did run in the end though. Are you sure that 4" dia boiler is going to be big enough to run an engine with a 1 1/2" x 1 1/2" cylinder? 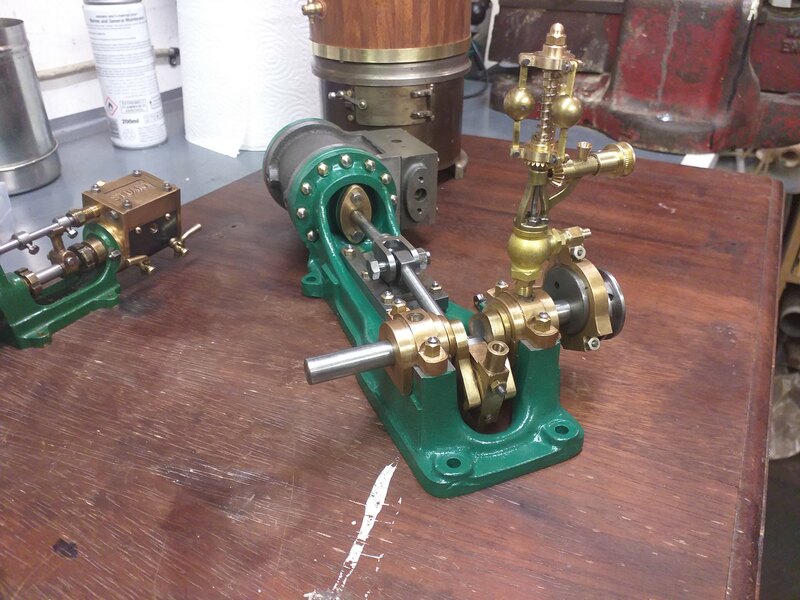 My 3" boiler runs an engine I build using a no9 cylinder, it won't run at high speed for long but at a modest speed it will run all day for demo purposes. Excellent! By a happy coincidence, I'm building a 4" Scotch boiler strictly to the KN Harris design to demo the little Sirius that I will be making soon. I've not made any connection to it on this thread as this No.9 is a pleasant interlude while I wait for the Sirius crankcase to arrive, so the question was quite unnecessary. Excellent! By a happy coincidence, I'm building a 4" Scotch boiler strictly to the KN Harris design to demo the little Sirius that I will be making soon. I could combine it with the Sirius build. So sorry you find my question to be quite unnecessary. You did comment in your first post that the Scotch boiler would power the No.9. Stuart's catalogue for 1974 suggests their Babcock No. 504 boiler with a drum 3 1/2" dia x 10 long will steam the No. 9 just for demonstration purposes, and I think the Babcock is somewhat bigger than the Scotch boiler. Cheers, Rick in Bogside-on-Bure - Where Stationary Steam is still alive ! All the way from China for 40 quid, delivered! Lovely bit of kit, and the valve starts to operate at about 600 rpm. I don't know if it will stay where it is now, there's a problem with the steam delivery! Bad Behavior has blocked 14977 access attempts in the last 7 days.